Car accidents happen every day. When they happen to you, it's serious and personal. When you have sustained auto accident injuries, you need aggressive legal representation from a seasoned auto accident attorney in Garland, TX. At Williams & Thorson, LLP, we actively pursue compensation for clients who have had minor or major injuries. Allow us to stand up for your rights. When you've been injured by another in a car accident, you suffer more than physically and emotionally. Many accident victims also have medical bills, lost wages, and loss of function. Having more than 19 years of experience in the legal field, our auto accident attorneys will fight to get you what you deserve. Trust an experienced car accident attorney to provide the legal representation you need. Since the legal process can be rather complex with auto accident cases, you need a seasoned attorney that knows the system inside and out. We take the time to listen to your concerns, explain the process, and answer your questions. Protect your rights in the best way possible by trusting the top auto accident attorneys in the area. We know the legal system inside and out, and we do not hesitate to take your case to court if necessary. 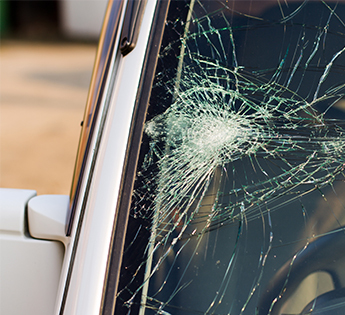 When you or a loved one has been in a vehicle accident, you need aggressive legal representation. Our auto accident lawyers investigate the conditions surrounding the collision and build a strong case to ensure the other party is held accountable. Sometimes a client's case does not need to go to court. In fact, in order to expedite the process, we try to mediate with the other party to ensure your demands are met. As an effective mediator as well as litigator, our car accident lawyer has the skill and determination needed to help you receive the maximum settlement for your injuries. Contact us for personalized and highly competent legal counsel when you've been in an auto accident. We proudly serve clients throughout Garland, Mesquite, Rockwall, Richardson, and Balch Springs, as well as the DFW Metroplex.